NLC leaders during a protest (FILE). Governor of Zamfara State, Abdulaziz Yari, had said the proposed N30, 000 minimum wage is impracticable unless labour agrees to a downsizing of the workforce. While the Nigeria Labour Congress is fighting for an improved minimum wage of N30,000, the body will not get entangled with the issue of downsizing. Speaking after the Governors Forum meeting on Wednesday night, Governor of Zamfara State, Abdulaziz Yari, had said the proposed N30, 000 minimum wage is impracticable unless labour agrees to a downsizing of the workforce. “Following a meeting of the Nigeria Governors’ Forum where we deliberated on the national minimum wage, governors resolved to re-strategise and put together another committee to meet with the President once again, to work out another formula towards quickly resolving the problem associated with the proposed N30.000 minimum wage which is impracticable unless labour agrees to a downsizing of the workforce all over the country or the Federal Government itself accedes to the review of the national revenue allocation formula." 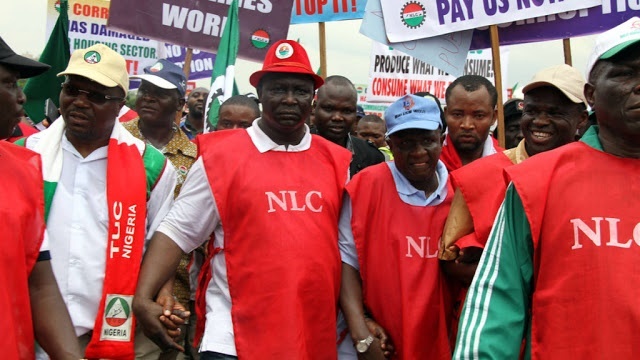 In his reaction, the General Secretary of the Nigeria Labour Congress, Dr Peter Ozo-Eson, said the governors should not mix up the issue of negotiation for minimum wage with sacking or employing workers. According to him, the organised labour was only interested in pursuing what would be the minimum wage of workers and ensuring that the workers were not subjected to a slave/master situation in their country.